Is it acceptable for private citizens to be forcibly quarantined, even if they do not test positive for a disease like Ebola? Chris Christie thinks so, which is what he did to one nurse who went to Sierra Leone to help fight the Ebola epidemic. Turns out that the Ebola nurse who attacked Governor Christie for putting her in quarantine after returning from Africa is a Progressive who just scrubbed her LinkIn account of all ties she had working with the CDC. 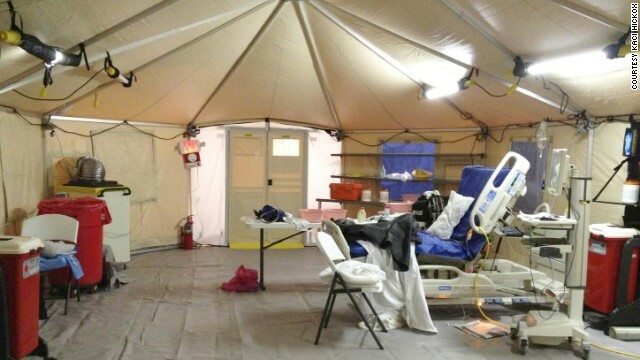 A nurse quarantined in New Jersey after arriving home from treating Ebola patients in Sierra Leone is speaking out against the “prison”-like living conditions she’s endured throughout her time in isolation. Hickox said she doesn’t have access to a shower or flushable toilet, and isn’t allowed to talk to her lawyer. Hickox arrived at Newark Liberty International Airport on Friday, and was questioned over several hours, before being transported to the hospital. Although she said she has tested negative for Ebola twice, Hickox remains in quarantine. 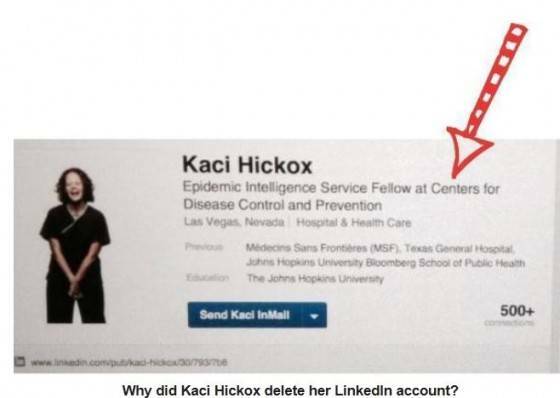 Just TODAY is was revealed that Kaci worked in ‘Epidemic Intelligence’ for the CDC and has deliberately hidden those ties from the mainstream media. Right now, a war is waging between states like New Jersey, New York and Illinois — Kaci Hickox and Obama are in the middle of it! [Those states] have decided to quarantine travelers at high risk of Ebola infections — and the federal government which is adamantly opposed to border security, medical quarantines and travel bans. Kaci Hickox emerged in the center of this debate just yesterday when she complained of being “interrogated” and held in violation of her civil rights. Kaci’s LinkedIn.com profile, which described her links to the CDC, was scrubbed from the web earlier today, and even Google cache has strangely been cleared of her profile which previously detailed her ties to the CDC. The now-famous DallasNews.com article  which published Hickox’s complaints failed to mention the nurse’s ties to the CDC. It turns out that Kaci Hickox is a registered democrat and Obama supporter who works for the CDC. “The nurse currently quarantined in New Jersey is an employee for the Centers for Disease Control and a registered Democrat with a history of left-wing advocacy,” reports GotNews.com. The question still present; Does the government have the right to force her into quarantine? It was her Civil Right to travel abroad, but when does a Civil Right end and infringing on the personal rights of others to stay safe and healthy begin? Why did she scrub her profile of links to the CDC? When will we get some real answers and politicians and media will stop playing cat and mouse with the American people? Please discuss in comments below because I don’t have the answers… just many many questions.